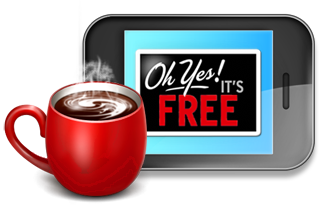 Find current free samples, the latest freebies, and free stuff by mail. Oh Yes It's Free! visitors love finding samples from their favorite name-brand products that include free makeup samples, free perfume samples, and free shampoo samples. You'll also find health freebies, pet freebies, free food, free books and recipes, and so many more free product samples and free things your head will spin! Start signing up today and be patient. Soon all the awesome free gifts will start to come in the mail. The reason why companies give away free things is simple. They have figured out that the most effective advertising is to place a sample, free gift or full-size freebie directly into the hands of the consumer. They want you to request their free offers so don't be shy and request as many as you want to try! You could even request a freebie for a friend, family member or work buddy.